SharePoint is a platform where you can do whatever you want for your business: collaborate, share documents, build an intranet or a public website… build your structure, build your navigation, build your architecture, and sometimes, build your business workflow. I like to see a workflow as an automated process ran by a machine where you add human interactions. The out-of-the-box SharePoint workflows are useful, but limited. Especially if you want to customize the forms or conduct complicated tasks one after another (without knowing how to code, like me). SharePoint Designer is a tool that can help you build workflows, but I found it very complicated to use, and I have to say that I’m always stressed when it comes time to use it. The Nintex partnership was a great step for me to improve my skills on workflows. 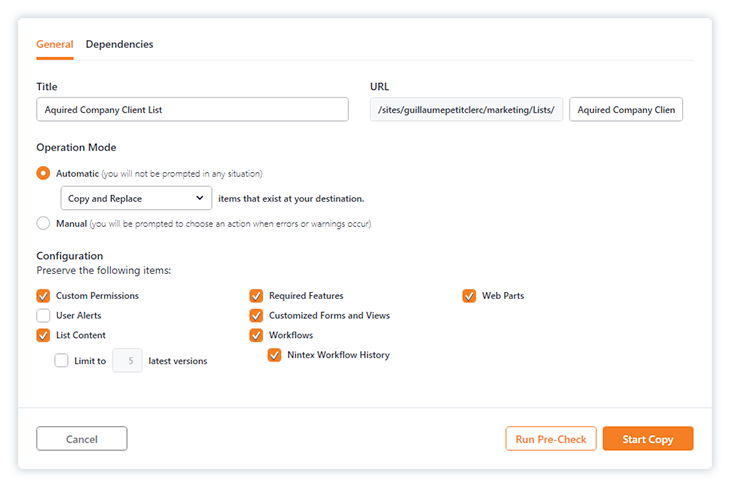 The Nintex Workflows' interface is really simple to use. I do love the drag and drop actions feature and the Nintex Forms designers. 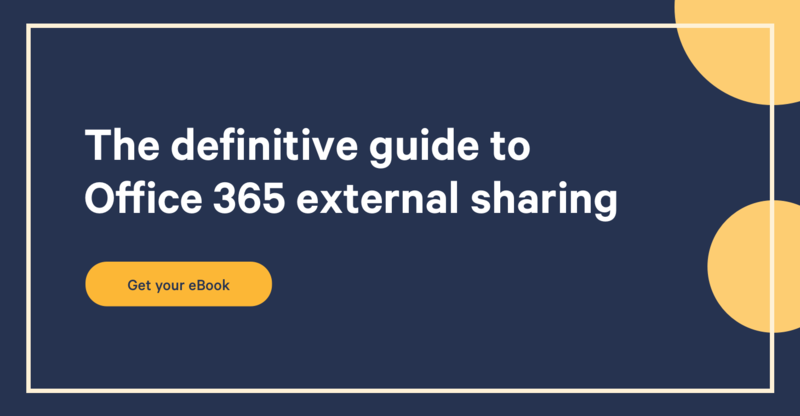 You already know that Sharegate can help you a lot to migrate and manage your SharePoint On-Premises as well as your Office 365. So this blog post is about a few nice things you can do with Sharegate to help you manage your Nintex Workflows. We live in a world where IT or your Workflow builders must have a deployment lifecycle – from development machines to QA environments, from QA to Pre-Prod, and finally going to Production. We always advise our customers to always go the same direction and to make sure their environments are the same on each level. Sharegate and its granular migration simplifies your deployment from one environment to another. You can choose to migrate only a new site or reusable workflow, or to migrate a list with its workflows and forms, and if you don’t want to scrap production data, just choose to migrate the structure and not the content. Sharegate is compatible with any kind of update you want to make on your Workflows: Copy only the workflow, only the Forms, the history, the list structure, the content … You can adapt the deployment to your needs. The Export / Import feature is a great feature if you just want to make updates on the workflow. But as soon as you add a new column, a new tag on your list linked inside one action, the Export / Import feature won’t work, because you need the list structure to be updated. Sharegate can update the structure while migrating your Nintex Workflows. Flexi tasks, approvals actions are really common actions used for workflows. But keeping a workflow up to date, especially when you use “users” as parameter, can be hard. Users are moving, changing position or leaving, and you want to be sure there’s no action assigned to an orphaned user. 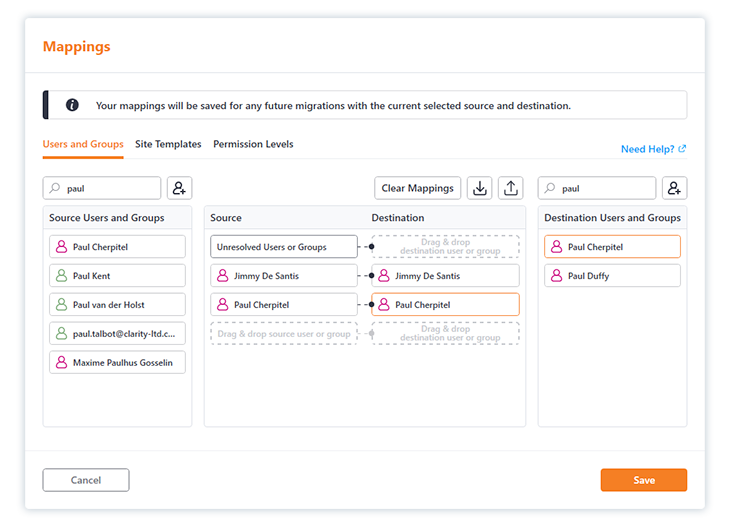 So using the mapping users and groups group can help you first when you need to copy workflows between two environments that aren't connected to the same active directory and, on the other hand, if you need to replace a user or a group directly inside an action. Let’s say you want to change the Approval User “X” for “Y”, just use the mapping, copy the list or the Workflow and Sharegate will change it on every action for you. Really nice, especially if you have a lot of actions and you don’t want to update them one by one. Sharegate is able to update all the people picker parameters inside all the Nintex Workflows. 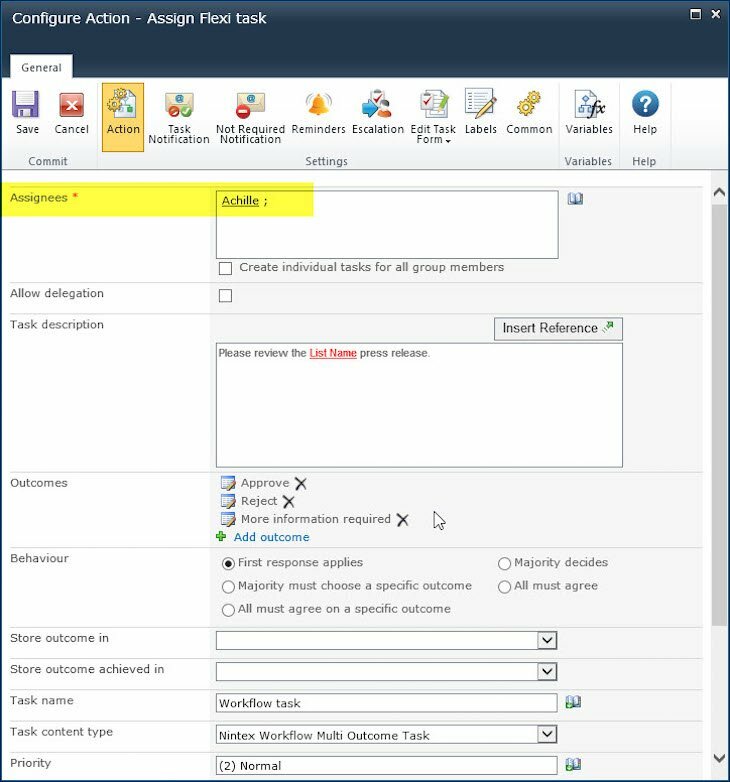 For example here, the Assignees parameter inside the Assign Flexi Task action. Information architecture is a non-ending job when you manage your SharePoint. New teams are created, new projects, new businesses involved and sometimes a new department emerges ... Sharegate helps you to move content and structure to another location, another site collection, another farm or to promote a site as a site collection. Nintex Workflows and Forms will still be there. Moving totally to the cloud or with an hybrid approach is a big step for a company! SharePoint out-of-the-box and Nintex workflows aren't built on the same platform. So we can't simply do a migration, we do have to build a conversion for each action. The Sharegate team has started the conversion a few months ago and still continues to convert Nintex actions to Office 365 with a high amount of quality. With the conversion, we make sure the behavior is the same and the workflow can be used straightaway. Each Sharegate release will bring new supported actions! Stay tuned! Using Sharegate can save you a lot of time, especially if you need to activate Nintex features* on multiple site collections and sites. You can read this article to see how to do it. * Please note that you don’t need to activate Nintex features before doing the migration, Sharegate does it for you at the beginning of the migration (also for Nintex app on Office 365)! How cool is that?! These reports are useful when it’s time to prepare the migration, and to have the big picture of your environment. I’m very curious, is there any other feature you'd like Sharegate to make happen to help you manage your Nintex Workflows? Don’t hesitate to share your needs with us, your voice is important!